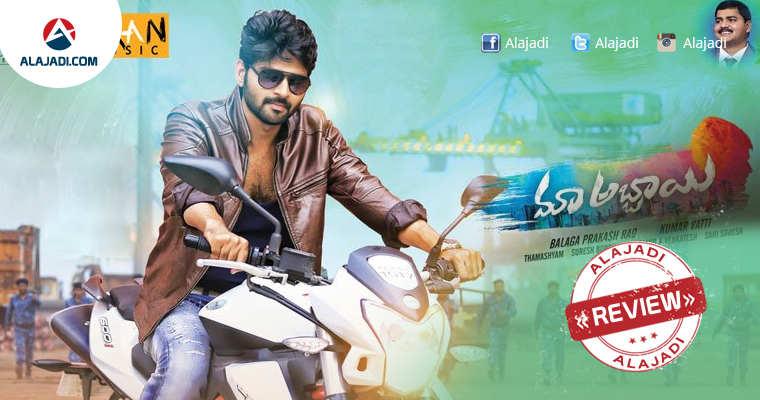 After Appatlo Okkadundevadu, Young Tollywood actor Sree Vishnu is back with his new film. The latest film is titled as Maa Abbayi. Sree Vishnu is paired with Bollywood actress Chitra Shukla in this flick ‘Maa Abbayi.’ which released in the theaters. The film is tipped to be based on a realistic incident that happened in Hyderabad some time back. Maa Abbayi is a complete family entertainer. This film is based on a real-life incident which took place in Hyderabad sometime back. It is about Sree Vishnu(hero) who is the elder son of his family. The family is all set for a wedding in their house. While the family is busy with the wedding preparations a drastic incident takes place in their lives. A sudden bomb blast in the city changes the hero life overnight. He will lose his entire family in the blast and he is left all alone. The remaining story revolves about how he finds out the reason behind the blast and how will he take the revenge. The title may look a little attractive but the movie is a little disappointment. The director failed to execute his thoughts. The plot was routine but if at all he worked a little on it, the outcome would have been much better. The actors have also done a decent job. In a whole, this film which was released this weekend will surely let the audience down. Sree Vishnu: He has improved a lot as an actor and this shows in his performance. Chitra Shukla: Her debut has done a good job. The rest of the actors shined well and made their presence felt in the limited roles they were given. The cinematography of the film handled by Thama Shyam. The cinematography of the film is one of the positive aspects of the film. The visuals are grand. The music scored by Suresh Bobbili failed to impress. The audio album has no song that is pleasant to hear. The background score is okay to some extent. The editing by Marthand K Venkatesh is good, and the senior editor could have used his scissors more to cut the unwanted scenes of the movie. The production values of the film are rich.